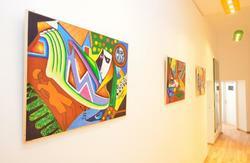 This hostel is situated in north Berlin, in the district of Reinickendorf. The hostel has 111 beds in six bed rooms. 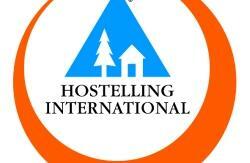 Take your membershipcard for INTERNATIONAL YOUTH HOSTELS and check in ! 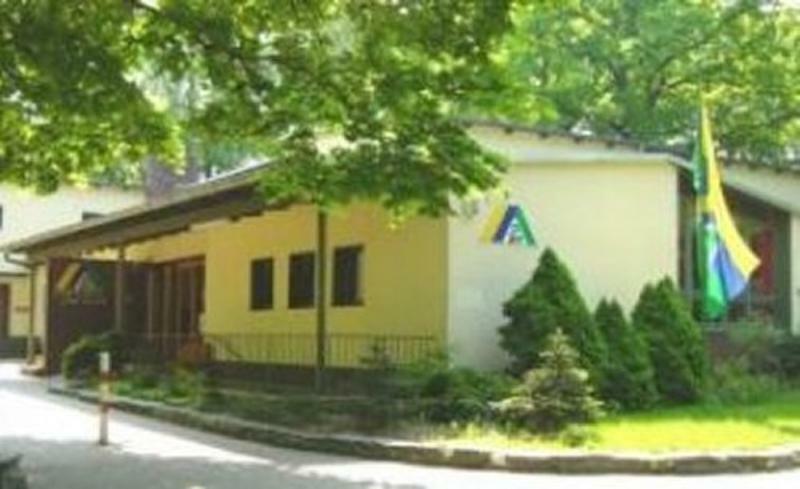 Non-members will pay 3,10 EURO per night for a day-membership. All prices for persons under 27 years. 27+ have to pay 4 EURO more. 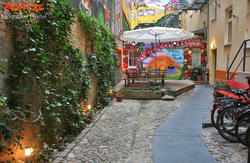 Ernst Reuter Youth Hostel offers great value for money, and caters to large and small groups, families and backpackers. There are two lounges for leisure activities equipped with a football kicker table, ping- pong table, many board games, TV, and High-Speed-Internet-Access. There is a 24-hour bus service right in front of the hostel grounds. Half-board is offered: in the morning an excellent breakfast buffet (inclusive), and a warm evening meal. Packed lunches can be ordered if required. The rooms have a basic standard and will be cleaned daily. Bath room and hot showers are nearby. Take train RE7, resp. RE14 until FRIEDRICHSTRASSE; continue by U6 to ALT-TEGEL; continue by Bus 125 to JUGENDHERBERGE (4 stops direction FROHNAU). Go to platform 15 and take the S-train to FRIEDRICHSTRASSE (1stop); continue by U6 to the final station ALT-TEGEL, continue by Bus 125 until JUGENDHERBERGE (4 stops direction FROHNAU). from the opposite S-Bahn Station MESSE NORD take the S41 to WEDDING, move onto U6 to ALT-TEGEL; continue by Bus 125 until JUGENDHERBERGE (4 stops direction FROHNAU).